I read about the challenge on Mad-Kyndalanth, checked it on Tenkar’sTavern and found it irresistible. 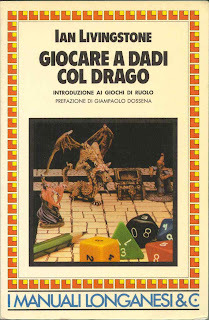 Shortly after buying my copy of Das Schwarze Auge/The Dark Eye (Uno sguardo nel buio in Italy) I found an amazing book in a bookstore in my home town: Giocare a dadi col drago, the Italian translation of Dicing with Dragons, by Ian Livingstone. I had never suspected the existence of such a huge and multifaceted roleplaying universe, and if getting DSA was my first step into that fantastic world, reading Dicing with Dragons was undoubtedly the second one: D&D (among many others like Runequest, Call of Cthulhu and Traveller) was mentioned there, and I started dreaming of an Italian edition of that most renowned game. My dream actually came true in a few months. 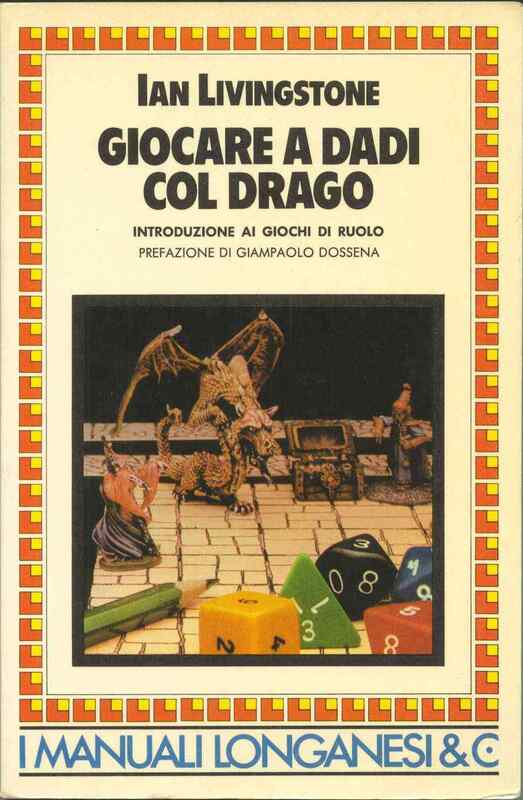 My pal Didi, with whom I had started my path to roleplaying and high adventure, called me one day, saying that he had got in a local store a copy of D&D, translated in Italian! It was the famous red box, and I felt at the same time delight and envy. I had to get a copy of my own! So it all started. My first character was a cleric, Didi’s a thief, and together with Cristiano (the third of our close-knit group), who was playing a fighter, we began playing and adventuring. Those characters eventually reached the 31st level, but it took us several years (and the other “coloured boxes”, as we called them) before getting to that dizzy heights.